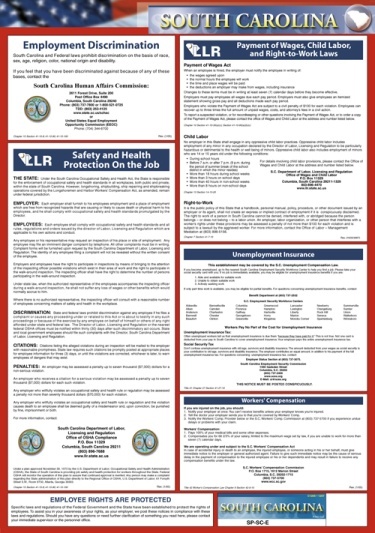 South Carolina State labor law posters are included in one space saving laminated poster. 19" x 27". Available in English and Spanish versions.